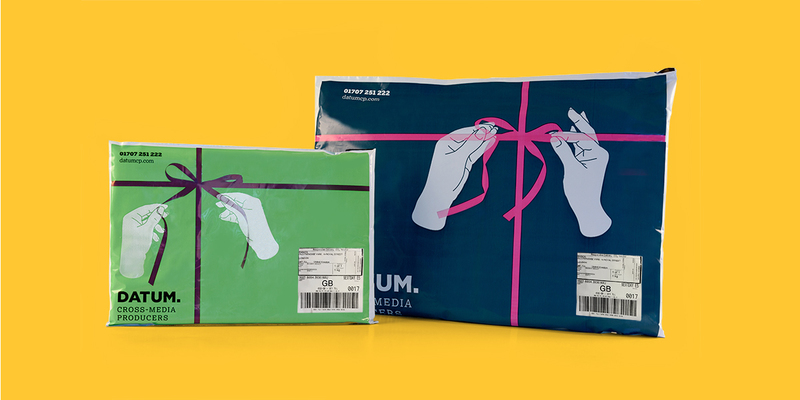 For today’s pressured marketer, print is just a commodity in a vast array of communications channels. This is both a challenge and an opportunity for the industry. 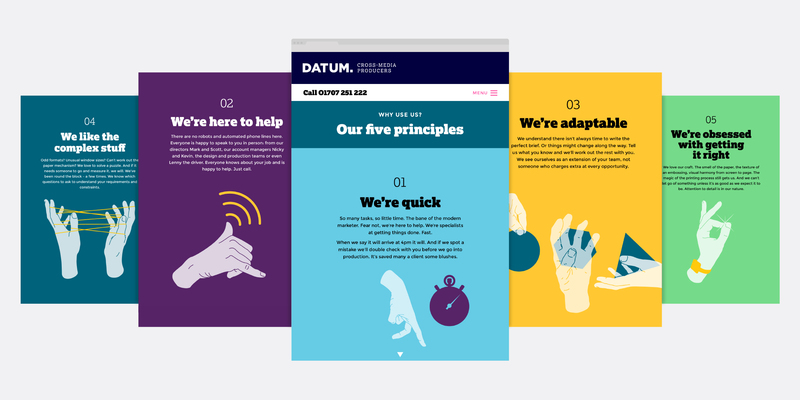 Datum, an established printing house, turned to us to help them move up the value chain. Our research process and conversations with customers revealed their strengths – speed, reliability and willingness to go the extra mile. 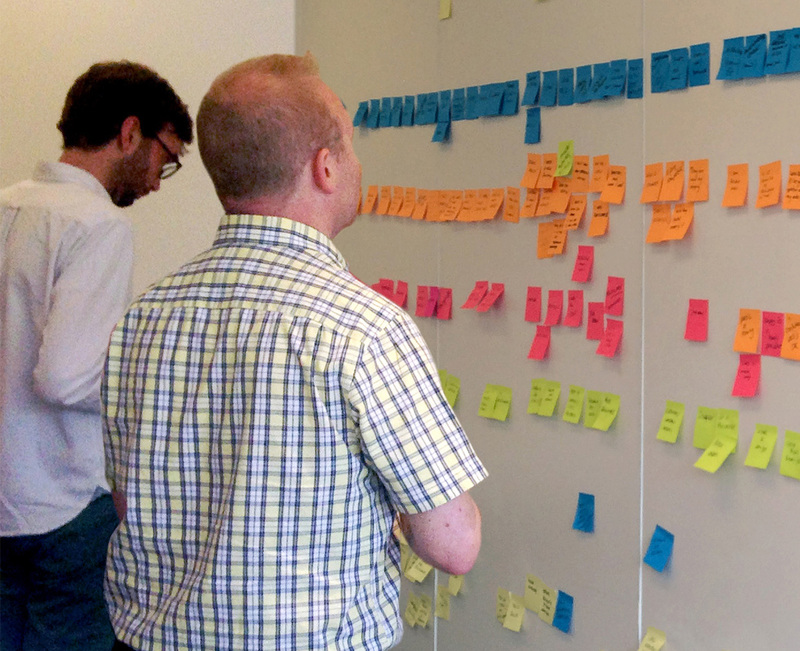 We involved the client in workshops to break down the customer journey and identify brand touchpoints. 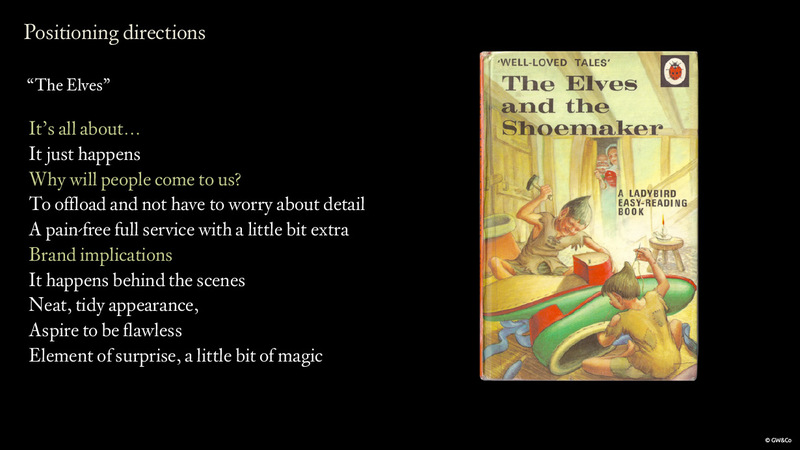 We positioned Datum as ‘The Elves’, who get the job done while the shoemaker sleeps. 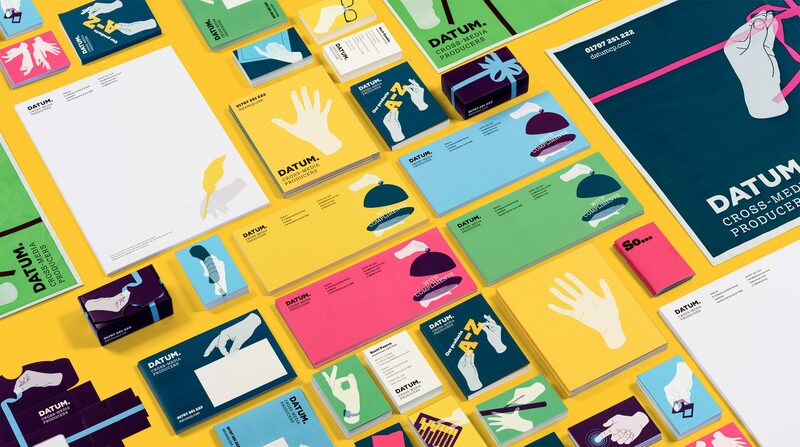 Their helpfulness and hands-on attitude led us to express the brand as ‘helping hands’. 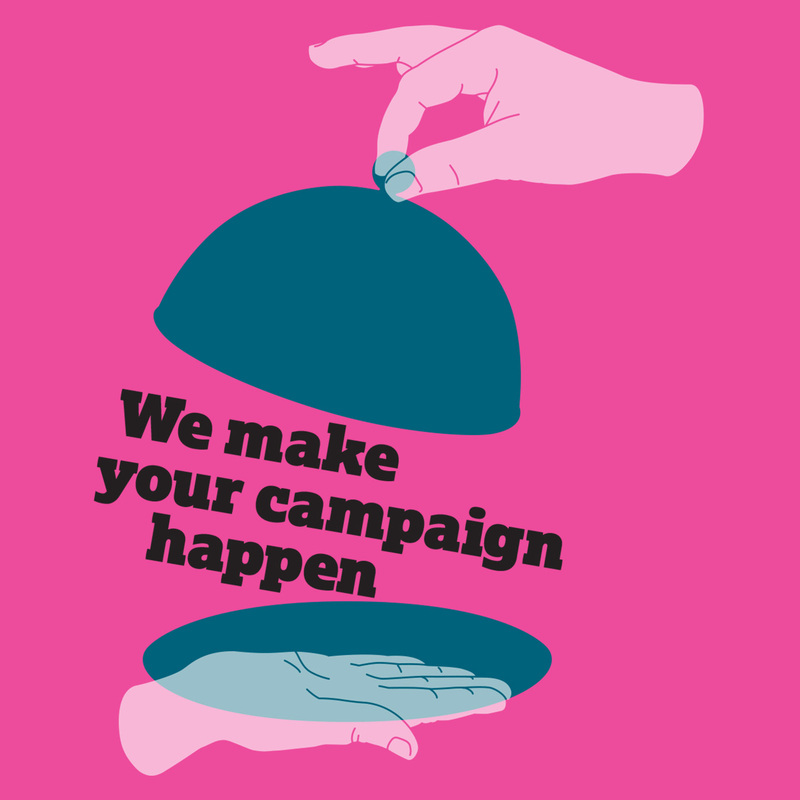 Based on their real hands, they appear everywhere playfully supporting key messages. Allusions to a magician’s white gloves suggest things happening as if by magic. The website was designed around user needs – commonly either someone in need of guidance or someone after fast results. We clarified six service areas and created an ever-expanding A-Z product guide. The phone number is always within reach, as personal service is key. 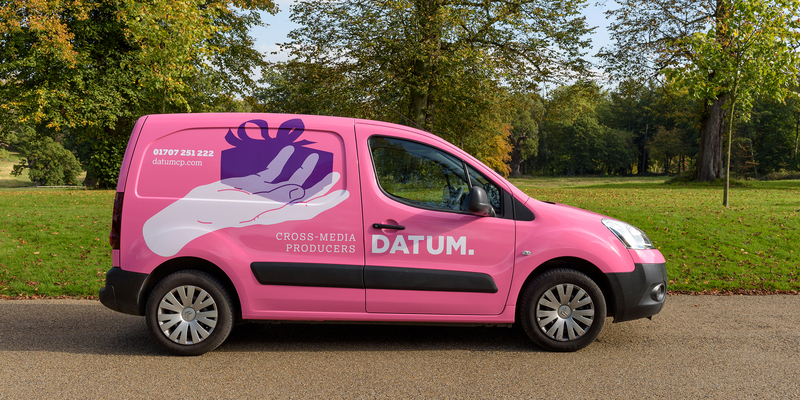 A new website, vehicle livery, packaging, brochure, product guide, building exterior and portfolio photography have launched to great impact amongst their customer base. The revenue generated as a direct result of the brand project had already exceeded the investment two months after launch. Our product brand for THORNeco, the new LED lighting product family from THORN, demonstrates how branding can positively differentiate a commoditised product. The ongoing brand campaign includes strategy, identity, brand personality, digital marketing and the clever use of social media.